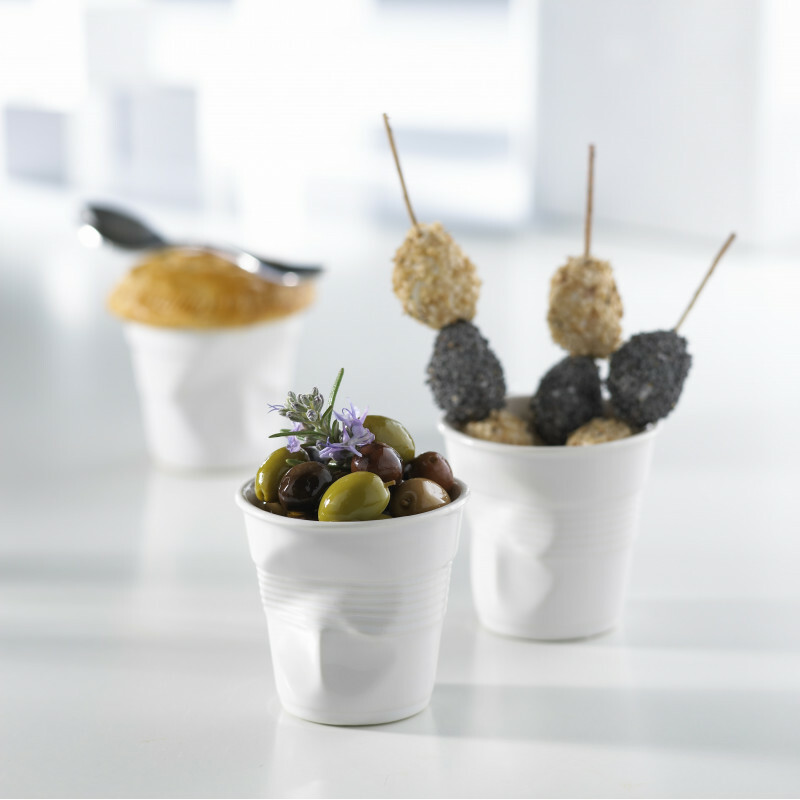 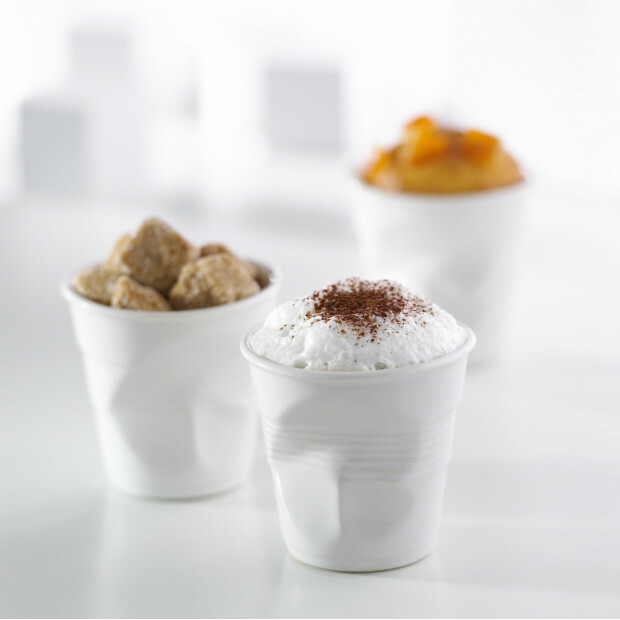 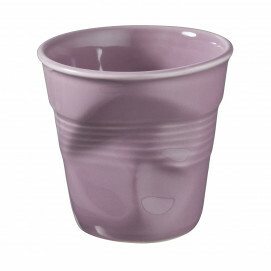 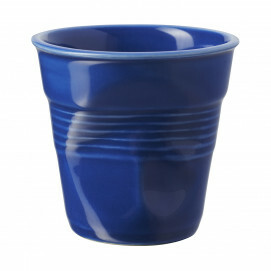 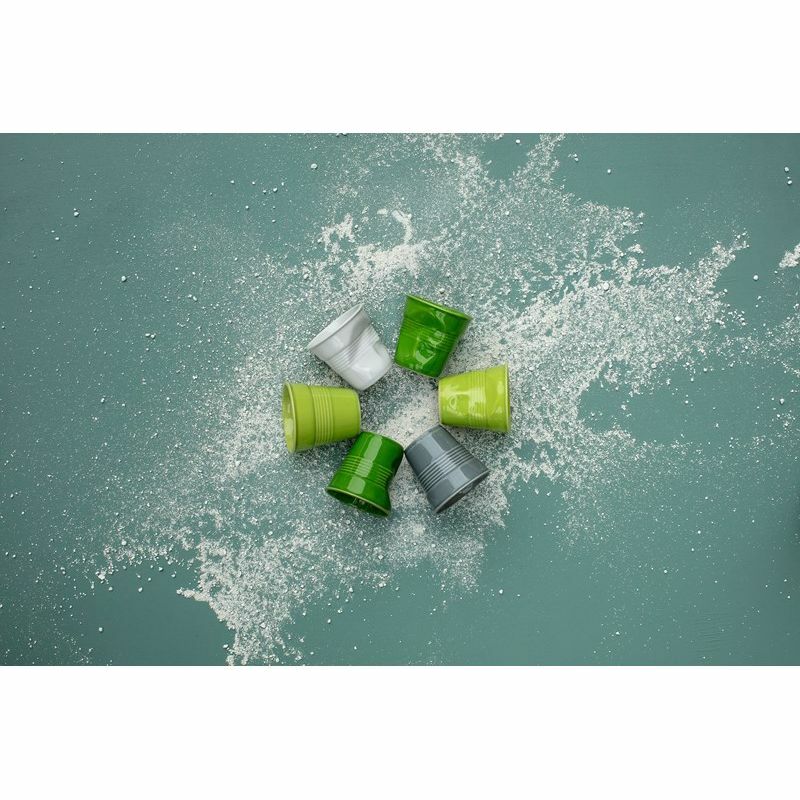 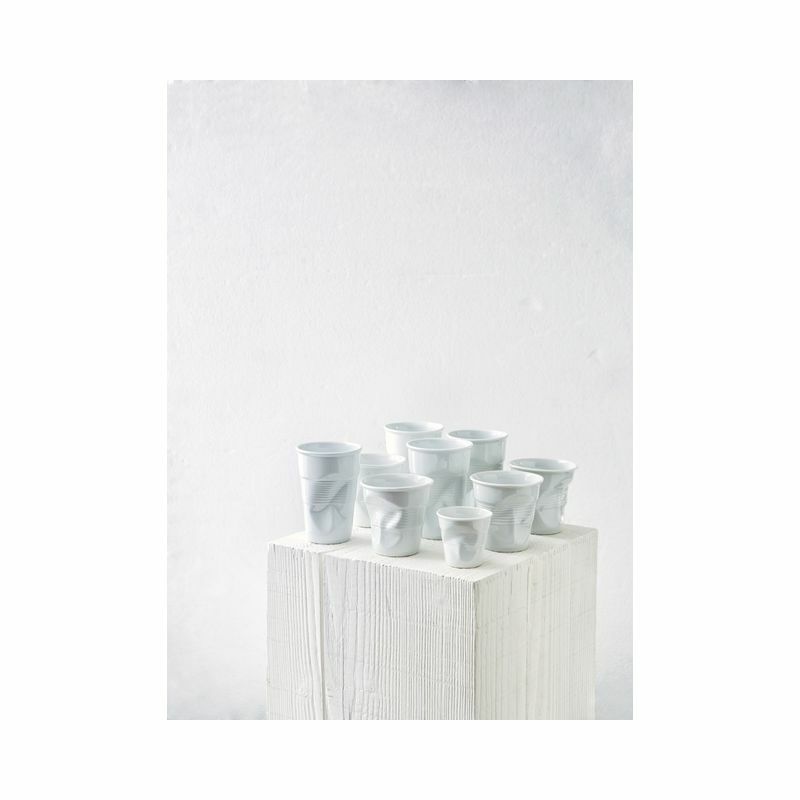 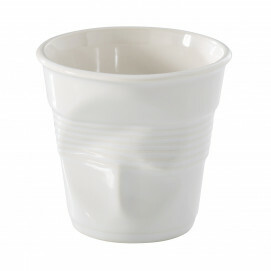 Set of 4 crumpled cups white for espresso or coffee. 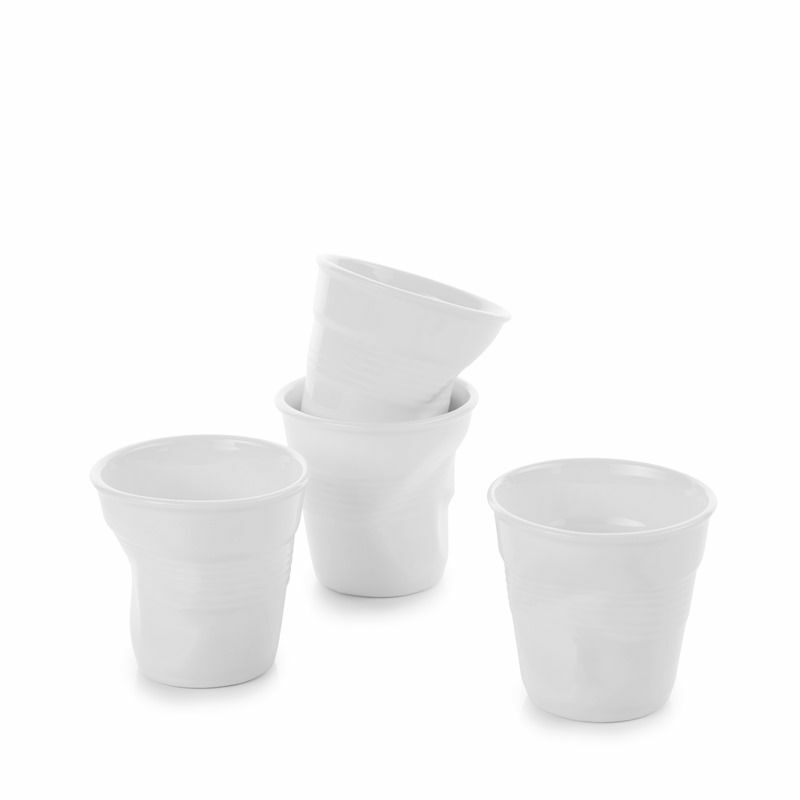 2 sizes available: set of 4 espresso, (2.75oz each) or set of 4 cappuccino (6.25oz each). 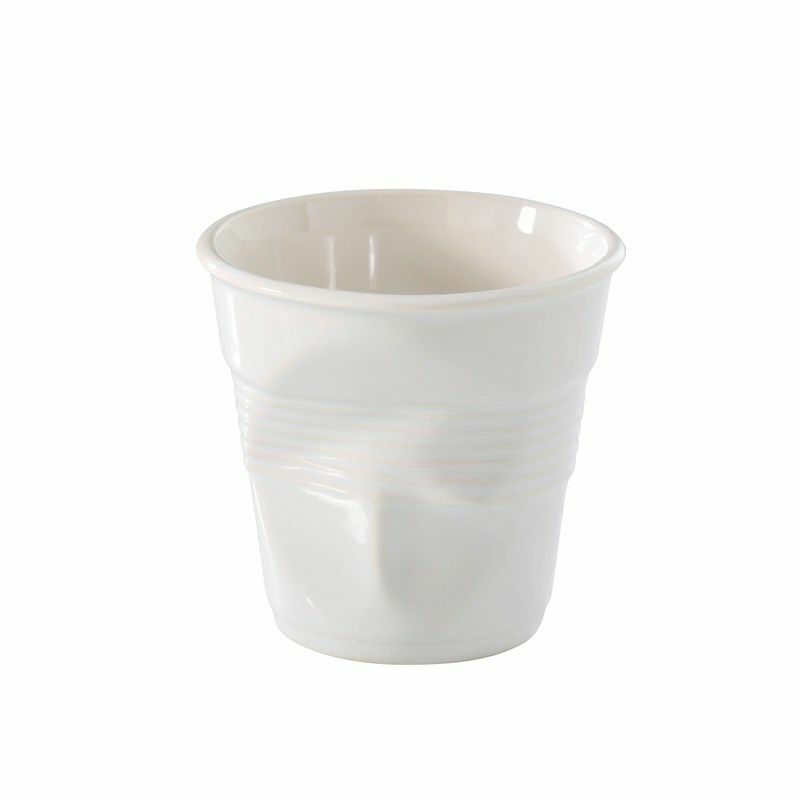 Also available in open stock.